Invincible, Arthas' faithful steed... for now. Before I jump right into the dungeons, it’s probably worthwhile to take a look at where I’m planning on ending up. When am I going to draw the line? Well, right now I honestly can’t say for sure where I’m going to end up. But, my eventual goal, if ever I had one, is no less than Invincible. 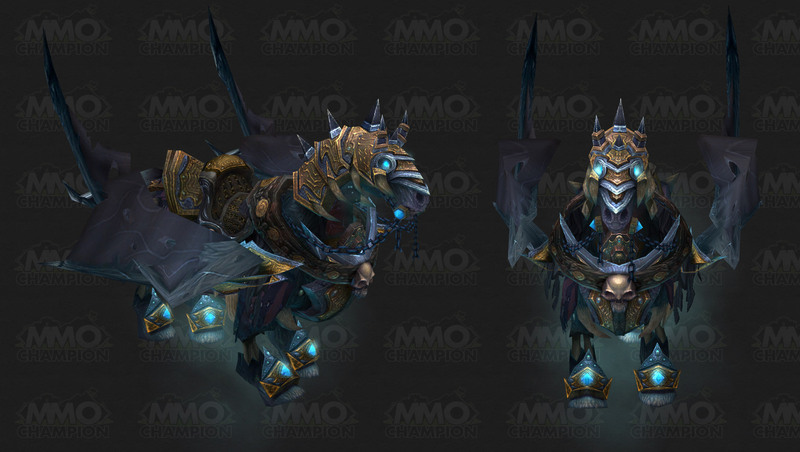 For those of you not familiar with it, you can see this beauty of a mount in the image above. I’m not sure whether it’s the amazing audio track blizzard released along with the mount for the anniversary (go check it out, it sounds amazing), or just the mount itself, but that thing seems to me like the most epic mount blizzard has made so far. Now, I realize that it only drops from the Lich King, the final boss in this expansion. And yes, only on the 25 man heroic mode. Yes, I realize that is the hardest boss on the hardest difficulty. I’m aware. It’s also entirely possible that I’ll never make it that far. But, I’m shooting high. And I’m seriously determined to give getting there a shot. You know what they say. Shoot for the moon, even if you miss you’ll land among the stars. Sound corny? It is. Extremely. But I’m cool with that. So, although short-term, my goal is to get into some kind of moderately okay raiding gear, my long-term goal is nothing short of invincible’s reigns. Sound like a plan? Good. Now stick with me, and we’ll see if I get there.